Home / notizie / Little Tony dead, R.I.P. The singer was 72 years old and had long been ill with cancer. He died in the clinic Villa Margherita in Rome, where he was hospitalized for three months. The funeral will take place on Thursday at the Church of Divino Amore. 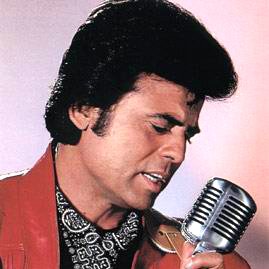 Tony Little became famous in the 50s, when he imitated Elvis Presley, and helped Italians to know the rock'n roll. It was a real rock 'n roll star in Italy. Little Tony managed to become famous even abroad, during the 50s and 60s, the years in which Italy was one of the western countries with great economic growth, culture and music. With him goes also part of the Italy. è spento nella clinica Villa Margherita di Roma, dove era ricoverato da tre mesi. I funerali si svolgeranno giovedì, presso la chiesa del Divino Amore. Little Tony divenne famoso negli anni 50, quando imitava Elvis Presley, e aiutò gli italiani a conoscere il rock'n roll. Fu una vera star del rock'n roll in Italia. Little Tony riuscì a diventare famoso anche all'estero, durante gli anni '50 e 60, gli anni in cui l'Italia era uno dei paesi occidentali con una grande crescita economica , culturale e musicale. Con Lui se ne va anche parte di quell'Italia.